Home » Clever Accessories » The Ultimate Buggy Butler! 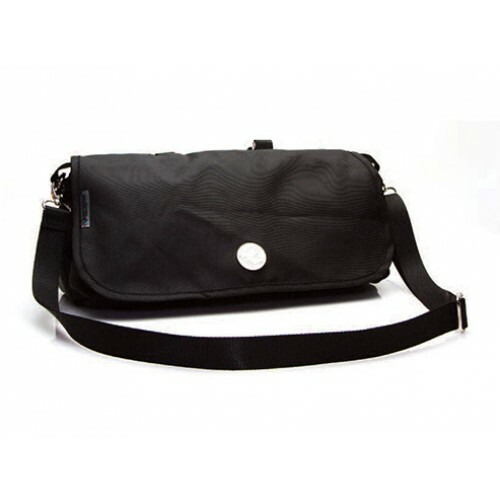 Have you ever wished for an easier way to carry all your baby's essentials? Now you can have everything you need at your fingertips. 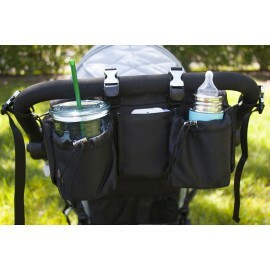 BuggyButler is a full service stroller orgnaizer that does it all. 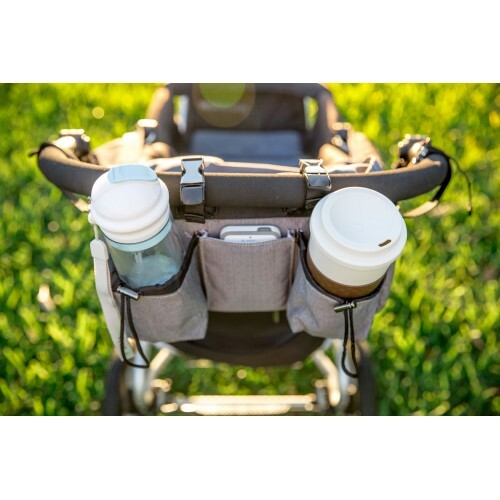 Simply attach it to your stroller's handles and you instantly have two generous sized insulated cup holders, a built in cooler for food and snacks, a smart phone pocket and a dry back pocket that holds your keys, wallet and extra diapers. Best of all you can detach the buggybutler from your stroller and use the included shoulder strap to carry bag with you when you leave the stroller behind. Great for city living! This desinger canvas parent console is universal for all strollers with straps and two additional side straps keeps console snug in place.